New website design for burglar alarm and security camera service 1st Choice Security & Investigations Austin TX. Austin Code Monkey has been selected to build 1st Choice Security & Investigations new website for burglar alarm and Security Camera Systems. 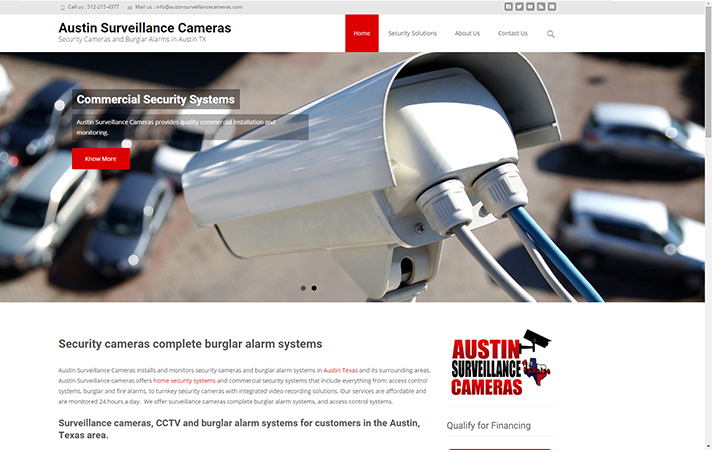 The new website will be called Austin Surveillance Cameras or “austinserveillancecameras.com”. The new site will be designed to enhance 1st Choice Secuirty & Investigations local online presence in Austin TX and its surrounding service areas. The new website will be for customers ‘commercial or residential’ looking for burglar alarm and security camera services products at their home or place of business. We are excited about the opportunity to work with Steve Parrish and the folks at 1st Choice Security & Investigations in Pflugerville Texas and look forward to a long lasting business relationship.